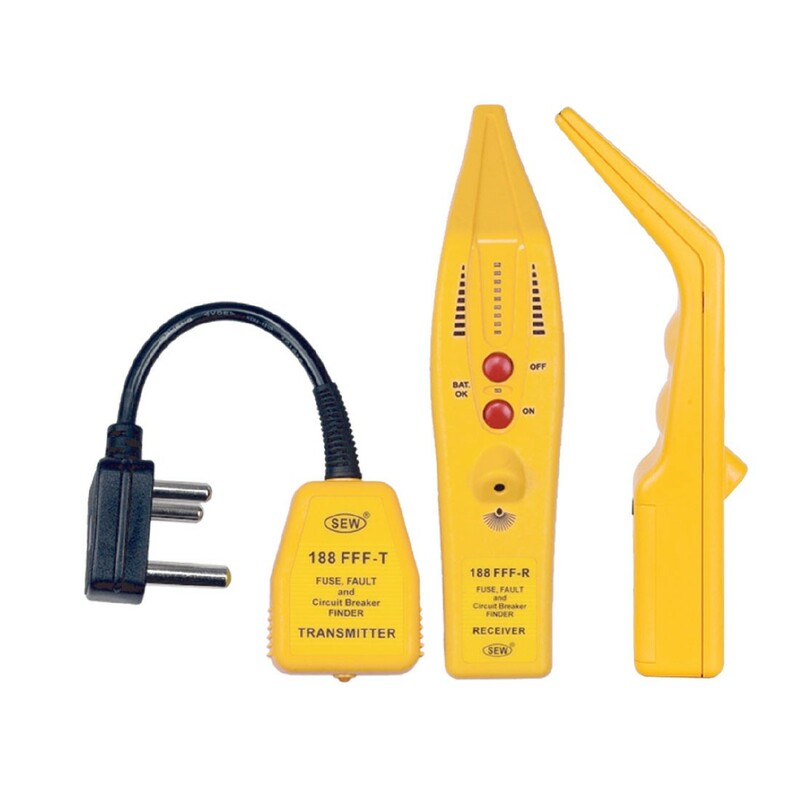 A UL Listed fuse and fault finder that consists of a transmitter and receiver. The transmitter draws a current from the mains under test and the signal current from the transmitter emits at a 10kHz frequency. The amplitude of the received signal is shown on the transmitter bar graph LED's. The number of LED's that light up is directly proportional to the signal strength. In addition, there is buzzer the varies based on the strength as well. To find a fault, the setup must be placed in series.